The citizens of Texas owe a huge thanks to two Texas conservatives – Greg Abbott and Dan Patrick. Why should anyone in Texas care? 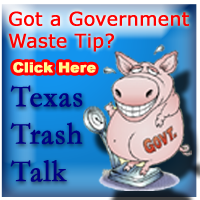 On the surface, this appears to be just boring legal jargon that no regular Texans would give a flip about. But, as Paul Harvey used to report – there is much more to the story - something that every conservative in Texas needs to know. Because he’s having trouble milking money out of Congress for this program, he has told liberals they need to find local sources of public funding to get his program off the ground. At a White House meeting with liberal mayors from across the US, President Obama touted San Antonio's efforts to further his cause. Led by far left Mayor Julian Castro, San Antonio passed a city sales tax to fund their new pre-k program which is described as "just the failed Head Start program wrapped in more expensive packaging." 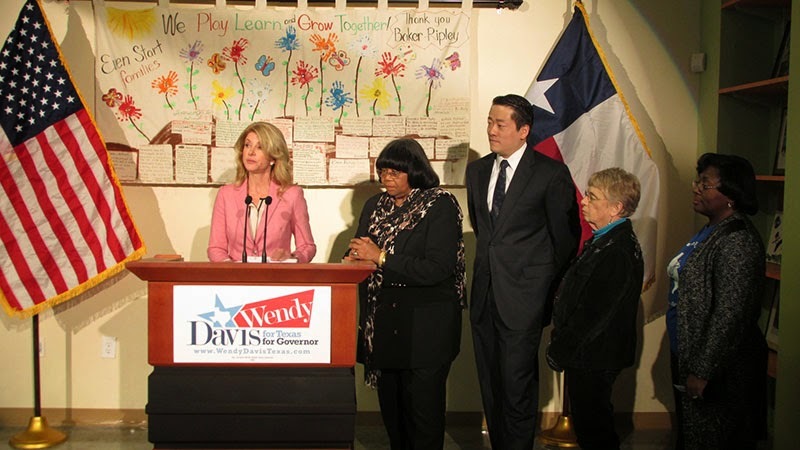 Shortly after meeting privately with President Obama during his trip to Texas last week, Democrat Wendy Davis expanded her pre-k platform to include "universal pre-K" for all Texans. What a surprise! But even the Huffington Post polls show Davis so far behind Abbott in the race for Texas Governor, that President Obama can't bank on Davis having the clout to spread his pre-k initiative throughout Texas. "Given the established deficiencies in the Head Start program, develop a strategic plan to encourage parents of eligible four-year-old children to enroll their children in prekindergarten programs, rather than Head Start." With Texas House and Senate conservatives winning big in the primary, the odds of the Texas Legislature passing a bill to fund Obama's pre-k program in 2015 and the future governor signing it are slim to none. Conservative think tank, Texas Public Policy Foundation, describes universal pre-k in Texas "as a losing proposition." Even though is sounds noble, "in reality it is an expensive notion that results in little but an expanded version of the struggling K-12 education bureaucracy and a massive financial hit to taxpayers." 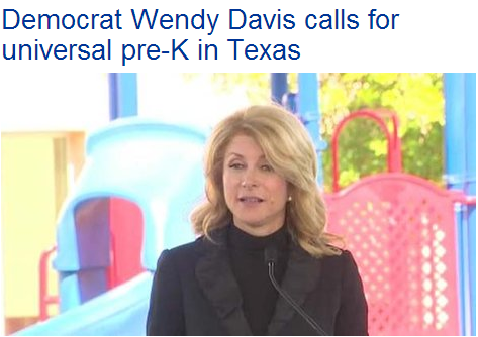 So why all the Democrat hoopla if over 95% of Texas 4 year olds are already enrolled in some type of preschool program? Well, just as The Affordable Care Act was NOT about making health care affordable, Obama’s Pre-K Initiative is not about improving pre-K education. They both are really about federal government control. Over the past couple of years, Common Core has allowed the federal government to control k-12 curriculum, testing, teacher training and evaluation in 44 states. Obama's pre-k initiative is the federal government's attempt to do the same for pre-k, with the extra bonuses of raising pre-k teachers' salaries to match kindergarten teachers,( to increase union membership) and home visits to "increase the use of birth control." In 1889, the Texas Legislature assigned the operation of public schools to county school boards. Over the years, Texas moved away from county run schools to smaller independent school districts with thir own elected school boards. When Texas no longer zoned students to county schools, the Legislature repealed the laws governing county school systems. It may sound far-fetched, but it is true. Even though all Harris County students moved to ISDs over 50 years ago, HCDE uses a loophole to continue to elect County School Trustees and collect a countywide school property tax passed way back in 1937. They disregard TEC 18.14 which dictates the distribution of county school tax funds directly to Harris County ISDs, and spend the funds as they see fit. To top it off, most people in Harris County don’t even know HCDE still exists, thus making it the perfect “obscure” taxing authority, led by persons willing to exceed their authority. In the 1960s, with the daily operation of public schools no longer their focus, HCDE began working with LBJ to increase federal participation in our education system. Today, HCDE is so entrenched with the Feds and the liberal agenda, they are like a “Who’s-Who” of the democrat party and ideology. 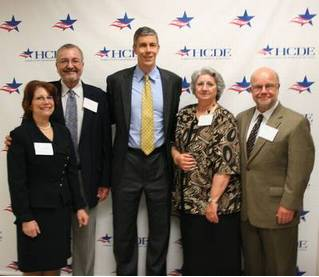 President Obama’s Education Czar, Arne Duncan, visited HCDE in person. The HCDE press release called the visit "historic" with particular emphasis on "more investments in early childhood education." HCDE boasts about their Superintendent/Board “consultant”, Dr. Richard A. Griffin, being "called to the White House" to meet with the President to discuss "critical issues facing education in the county." 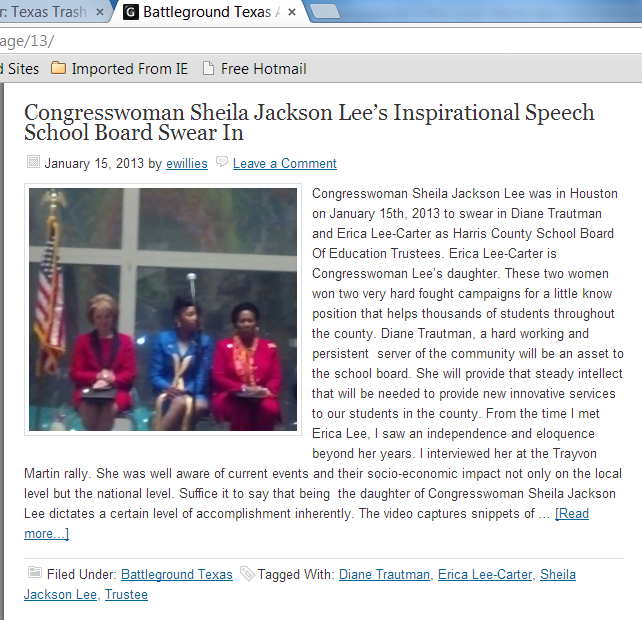 Filed under Battleground Texas is the a story of the "Inspirational Speech" given by Democrat US Rep. Sheila Jackson Lee after she performed the honor of swearing in two newly elected Democrat HCDE Trustees - her daughter, Erica Lee, and Dianne Trautman. Two weeks later, two Democrat Harris County School Trustees, flew off to Washington DC on a taxpayer funded "board training" trip. 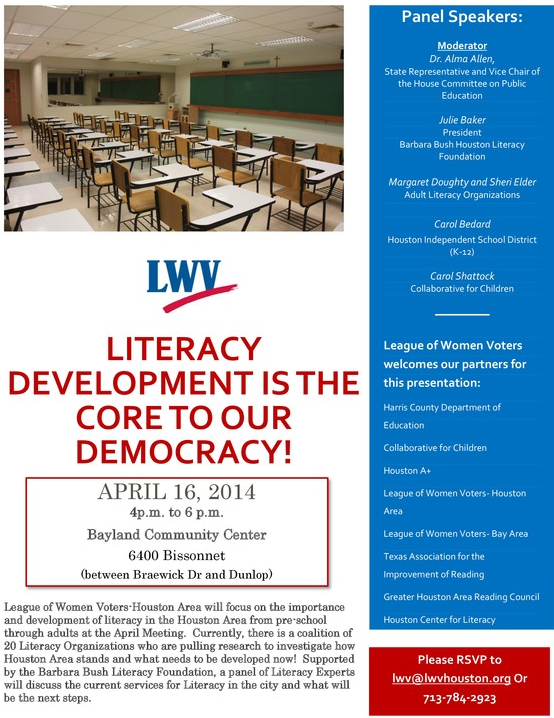 This week HCDE joins the liberal League of Women Voters as as "partner" to focus on "what needs to be developed now!" to improve preschool literacy. The moderator of the event will be a previous employee of HCDE, Democrat State Rep. Alma Allen, Vice Chair of the Texas House Committee on Education, the same person who stood with Wendy Davis as she pushed her universal pre-k platform. It isn’t a coincidence that all these liberals just happened to connect for the pre-k cause. It was well orchestrated. It began with the Democrats "investing" heavily in the Harris County School Trustee elections. 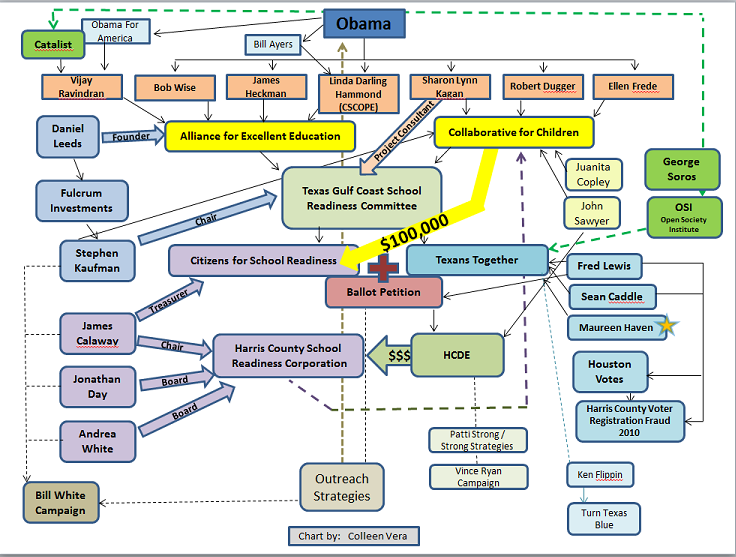 The following flow chart shows how the Obama Administration “community organized” their way to setting HCDE up to fund Obama’s Pre-K Initiative in Texas. But even worse…they stated that their long term plan was to use HCDE as their hub to spread this ACROSS TEXAS. The liberals thought they could slip the tax increase through by simply saying “it is for the children.” But it didn’t work. County Judge Ed Emmett questioned the legality of their November 2013 petition, and was backed up by the 14th Court of Appeals. It did not make it onto the ballot. When word surfaced that liberals were going to try another petition in November of 2014, Senator Dan Patrick requested a legal opinion from the Attorney General . Because Greg Abbott is a true conservative who follows the letter of the law, his opinion released March 24, stopped it in its tracks. But this does not mean the kids of Texas are safe. It simply means that the HCDE tax rate won’t be doubled to pay for it. HCDE has now established their own Pre School Initiative Special Board Committee to study how HCDE can initiate all this without having to go to the voters. Posted agendas show the committee met on 11/21/13, 12/11/13 and 2/6/14. But HCDE Trustees have not approved the meeting minutes or even mentioned this committee in their regular board meetings, except for the hiring of personnel to "organize" their preschool initiative. What is HCDE trying to hide? 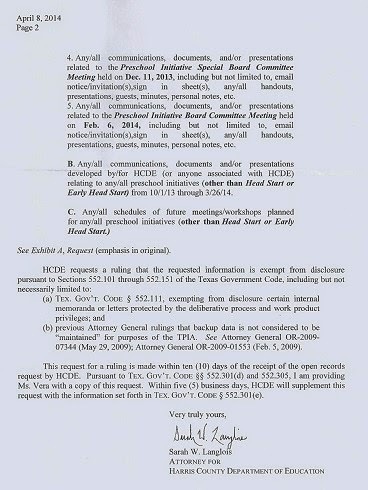 At the HCDE Board meeting held on Feb. 25, 2014, all board members except Kay Smith voted to approve a contract with Joanie Rethlake for $44,650 (plus $5,000 expenses) to "organize" some project related to early childhood. 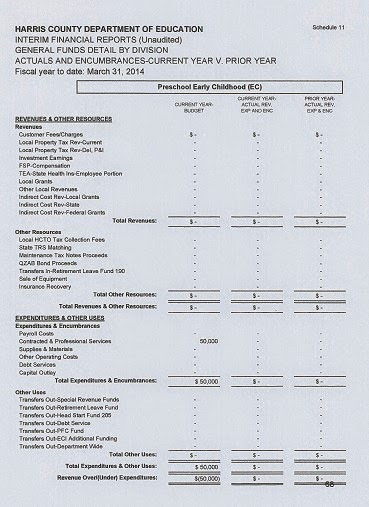 And hidden in the April 15, 2014 HCDE Board Agenda on page 68/811 is a new HCDE budget category that did not exist previously - PRESCHOOL EARLY CHILDHOOD (EC) - with $50,000 budgeted to expenditures for "Contracted and Professional Services." Interesting is the fact that no revenue category is listed to pay for this expense. 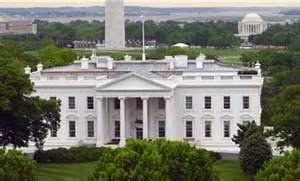 Where is this money coming from - local taxpayers, a federal grant? Why does HCDE even want to get involved? Besides just supporting the liberal concept of bigger government, HCDE knows it is in trouble. 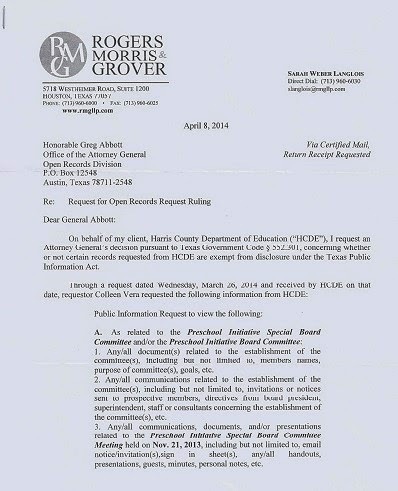 People are starting to question the need for county school trustees in Harris County when 252 other counties in Texas abolished their county school boards decades ago –--- especially when HCDE is using our tax dollars to help turn Texas “blue.” HCDE is banking on their liberal friends in Washington putting pressure on the Texas Legislature to keep them open. The HCDE superintendent was heard saying that the Pre-K initiative would make HCDE so big that even the Texas Legislature would not be able to touch them. Conservative Texas Representative Debbie Riddle tried to halt HCDE’s liberal agenda last session with HB945. HCDE spent hundreds of thousands of your tax dollars on lobbyists to fight against Rep Riddle’s bill. The lobbyists lined up Alma Allen and other liberals on the House Education Committee with "Republican" Rep Dan Huberty to keep HCDE operational. And it worked. HB945 bill did not get out of committee. But, Rep Riddle was successful in getting the House Education Committee to take a closer look at HCDE in the interim so HCDE is spending hundreds of thousands of of our county education dollars again to hire lobbyists. Rob Eissler, the ex-chair of the Texas House Education Committee and one of Straus' ex-lieutenants, who was kicked out of office by his constituants and replaced with true conservative, Steve Toth, is one of them - a "Republican" who will rake in taxpayer money helping the liberals forward their agenda. Greg Abbott’s legal opinion answering Sen Dan Patrick’s question concerning HCDE’s tax increase was much more than a simple tax question. It stopped the liberals from abusing the law and holding an illegal tax election to fund the expansion of Obama’s Pre-K Initiative in Texas.